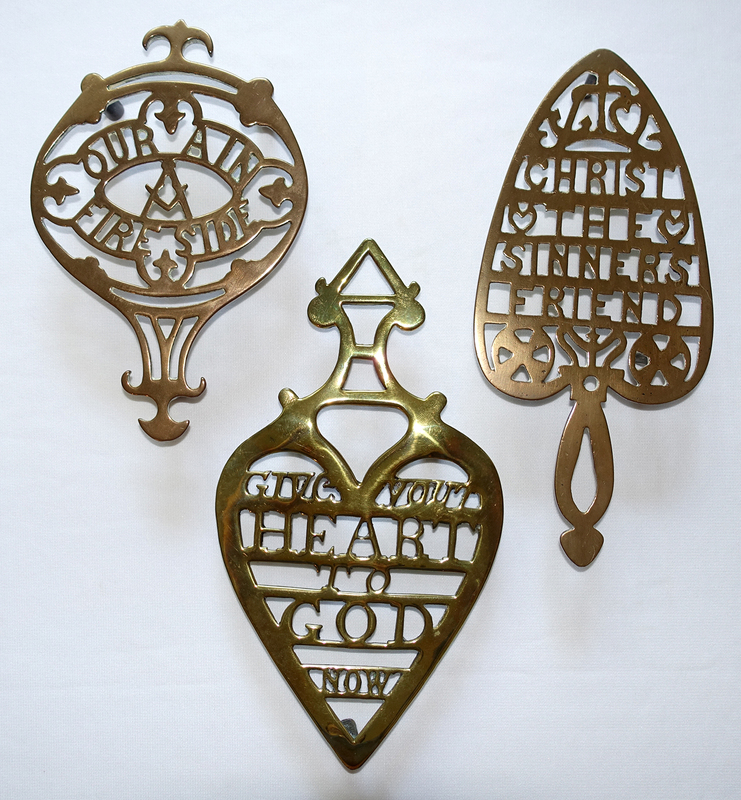 Trivets with mottos date to the 1880s and reflect the Victorian obsession with inspirational quotes and scriptural passages. You may be familiar with the Victorian Mottoes of punch paper embroidery, where cardboard (much more affordable than linen) was stitched with colored strands of thread. 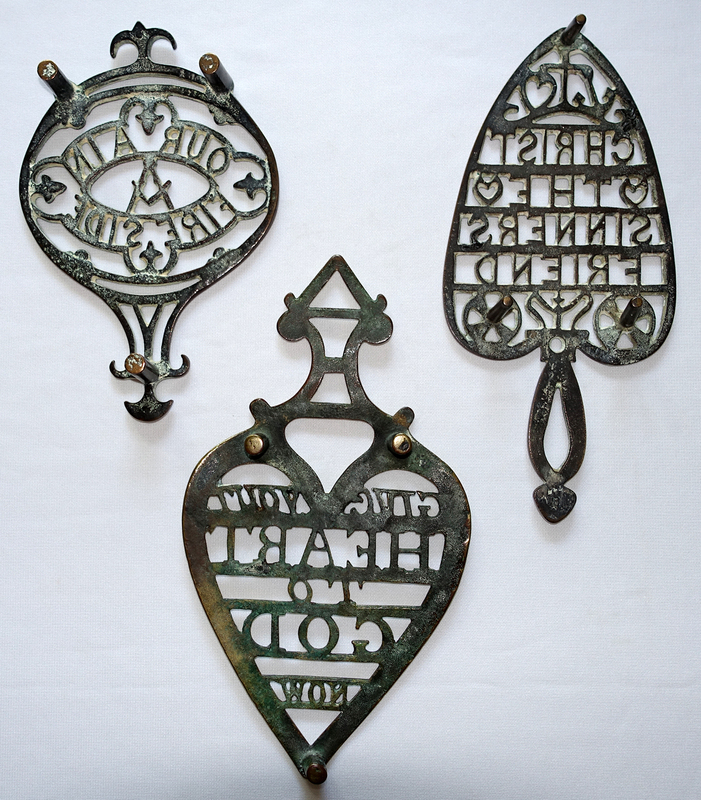 Here are several British trivets from that era with similar messages cast into the surface. Each is of brass, ranging from 7.5″ to 9″ in length. Typically you’ll find the front surface well polished and smoothly worn with age. The backs were not polished; note the dark greenish verdigris on the reverse of all three trivets. In cleaning and polishing brass trivets, remember the metal is easily scratched. Hardware stores sell soft nylon toothbrushes that are useful for carefully scrubbing the soft crevasses in brassware, where dirt and old polish often accumulates. Follow with a liquid or paste brass polish. Often just a simple cleaning, buffing and polishing is all it takes to bring out the concealed beauty of an antique brass trivet. And never use a brass cleaner on modern lacquered brass trivets! This entry was posted on October 30, 2016 by Lynn Rosack in Antique Trivets & Stands, Collecting Basics, Great Britain and tagged brass, motto trivet, sayings, United Kingdom, Victorian trivet.